When we used to live in Orange County, California, my sister and I (and later Raj), would occasionally make the trek up to Olvera Street, the oldest part of downtown Los Angeles, via the train. It was an annual trip at the end of September that signaled the beginning of Halloween decorating season and an excuse to buy Day of the Dead items. If you’ve never been to Olvera Street, you need to go. It makes a great day trip to eat authentic Mexican food and to stroll around cool and hip shops full of Day of the Dead figurines, sugar skulls, and lots more. 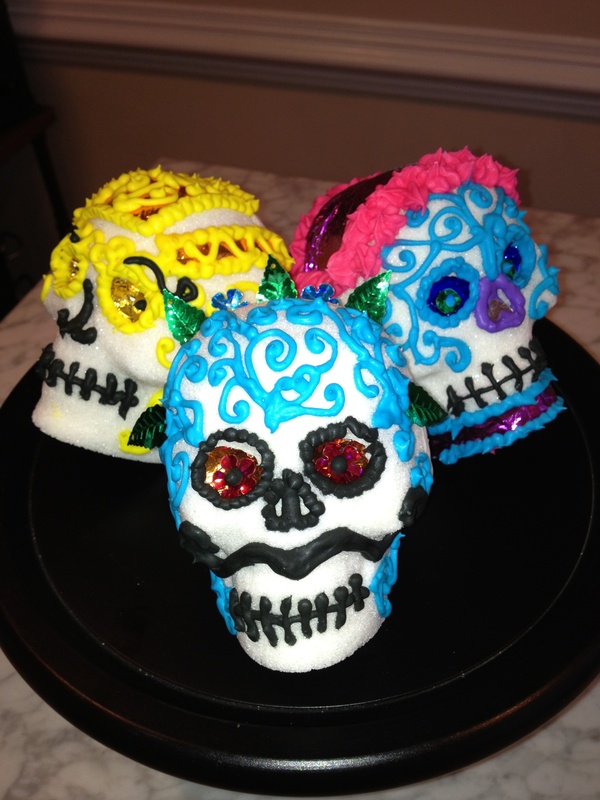 A few years back, I tried to find a local shop or bakery in Virginia that sold sugar skulls and/or Pan de Muerto (Day of the Dead bread), but with no such luck, I’ve had to create my own. 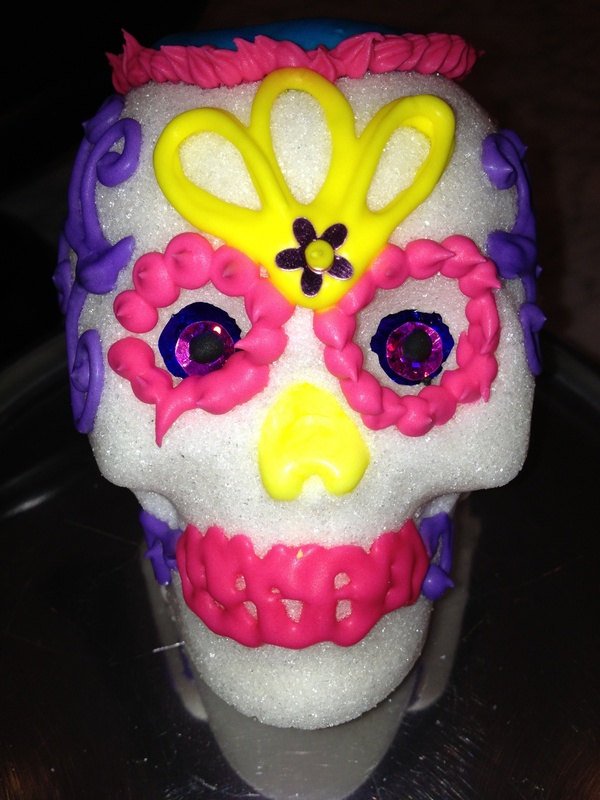 Making your own sugar skulls is really easy, but it does take time and LOTS of granulated sugar. I only made four large skulls and two smalls ones and used 5 pounds of granulated sugar for the skulls and 2 pounds of powdered sugar for the Royal Icing, but your hard work will pay off AND they last for years! Mix all of the ingredients into a large bowl using your hands until all of the sugar is moistened. It should feel like wet sand. 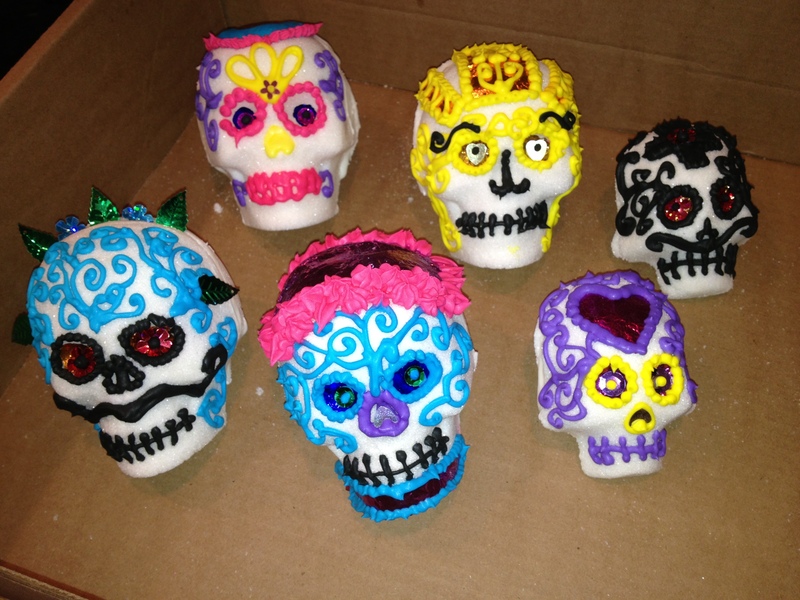 Pack the plastic sugar skull molds (I purchased a small one at Sur la Table and a large one online) firmly with sugar, using a straight edge to scrape the back of the mold flat–I used a piece of cardboard for this. 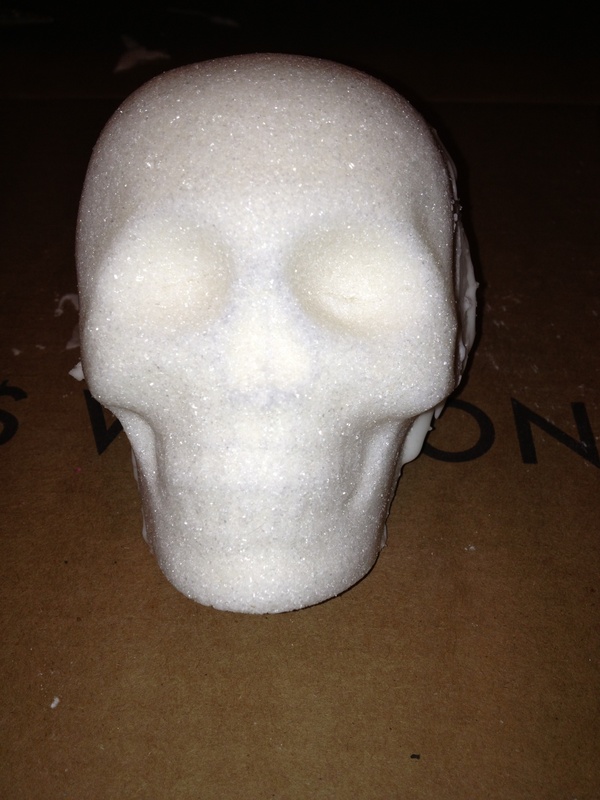 Tip sugar out of mold and place on a flat surface to dry overnight. 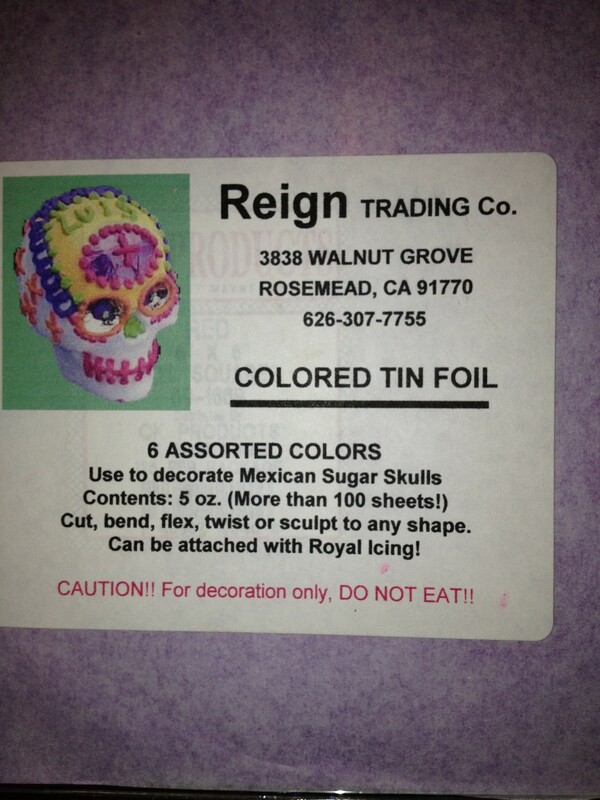 After the sugar skulls have been allowed to dry at least overnight, prepare Royal Icing recipe to piece the two halves of the skulls together and to decorate them. Mix 2/3 cup water, 1/2 cup meringue powder and 2 pounds of powdered sugar with an electric mixer until icing peaks (about 9 minutes). 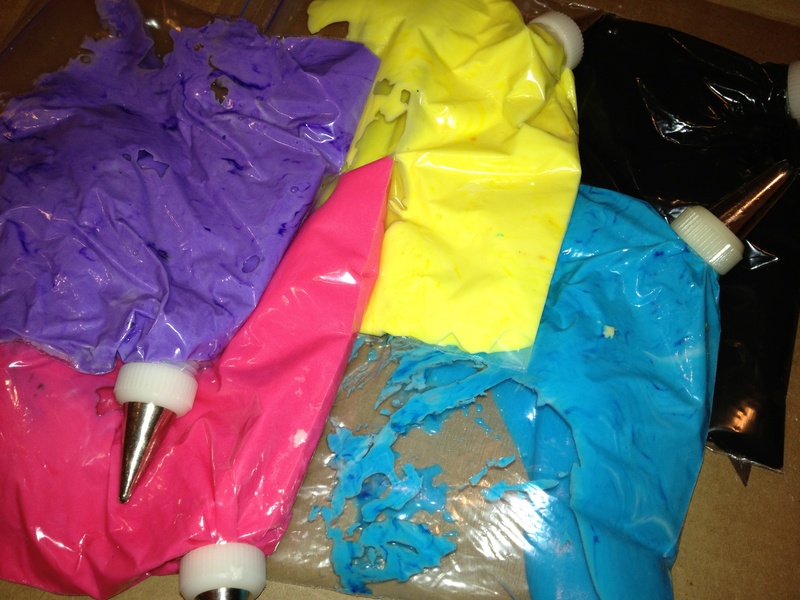 Mix icing with food coloring. 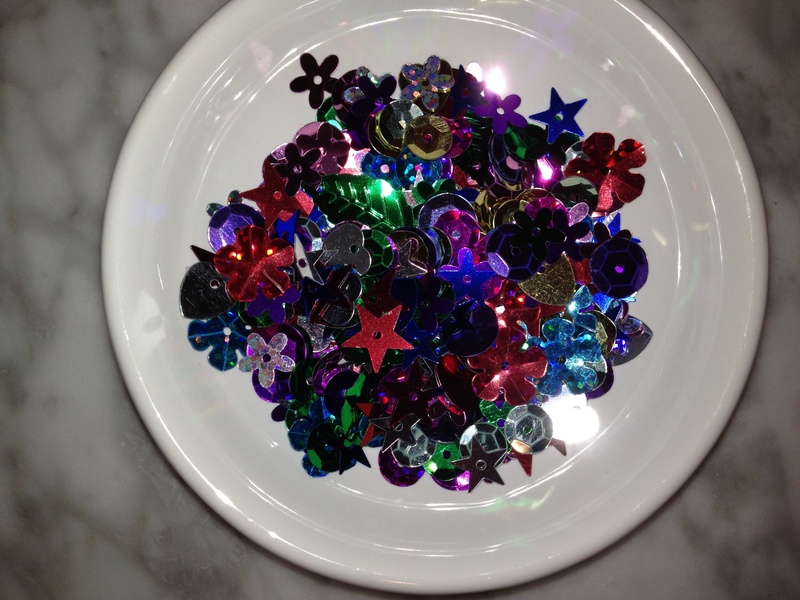 I use Ziploc bags with tips for decorating. 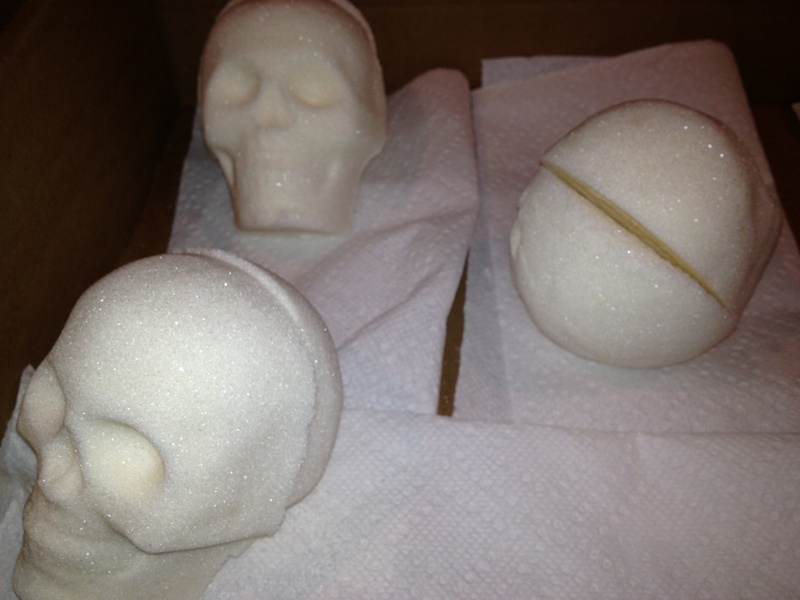 My molds are made of two pieces, a face and the back of the skull. With the plain white Royal Frosting, add a small amount to each half and place together, wiping away any excess that comes out of the seams. 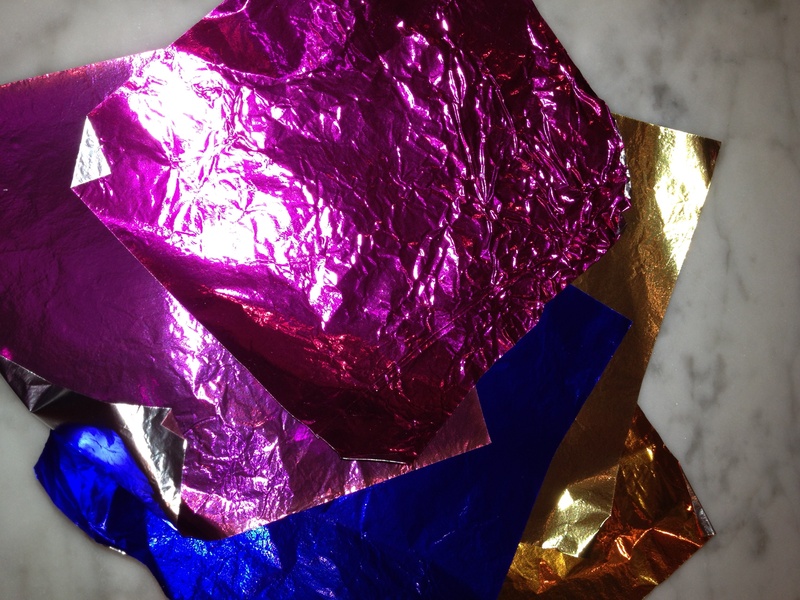 The foil that I used to fill in the eyes and to cover up mistakes I made when decorating. 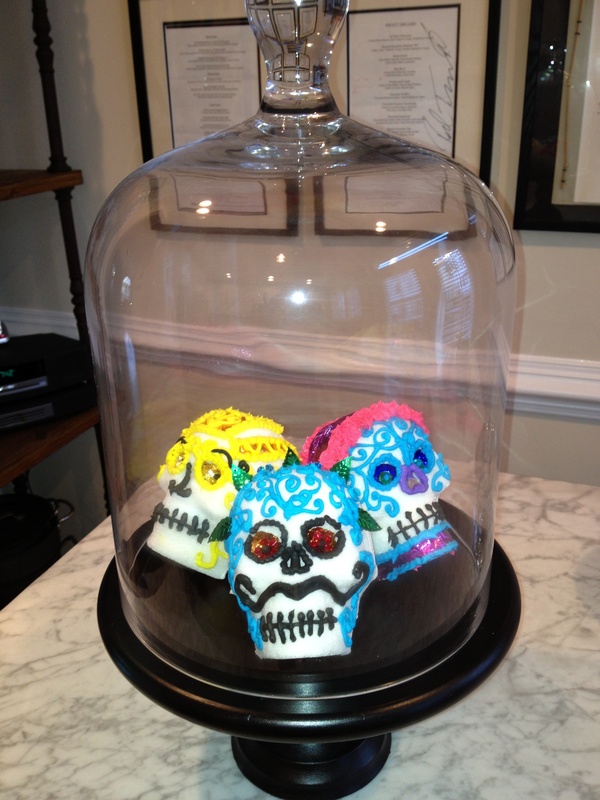 Now we are talking sugar If I can eat one skull I would be headed to the er room with a sugar fit the look soooo nice. Glad u are getting in the mood. I agree! You should set up a stand and sell them at the farmer’s market! Love the foil accents. Where’d you get that? Where did you get the fabulous mold for the skulls? I love how it has a front and a back to it.